The blog’s new header is intended to reflect my interest in nature and native plants, a “third side of one mind.” It is a close up of a cottonwood tree I saw at the Bosque del Apache. Today’s post about my Thanksgiving features other native plants. Waiting at the copy center in Staples I listened to the customer in front of me and the salesclerk chat. “I hate Black Friday,’ the clerk was saying. Recovering quickly the customer said, “I’ve been there too. I felt the same way.” When I was done my business I told the clerk “I hope you survive Black Friday!” She smiled. For me, “Black Friday” is a day to stay home, catch up, finish cleaning up for Thanksgiving. One of many things I have been and am grateful for is the extended family and friends who came to our house for Thanksgiving every year for many years: anywhere from six to seventeen people. That left a lot of next day cleanup to be done, but it was worth the effort. I am also grateful that we no longer do that. We do a Thanksgiving dinner for ourselves, because for us, next after family, Thanksgiving is about the leftovers: the sandwiches and all the stock for soup, the many uses of turkey chunks. the arroyo behind the dam that is built for a 500 year flood and rarely sees more than a few small ponds in the rainy season. Now it is quite dry. 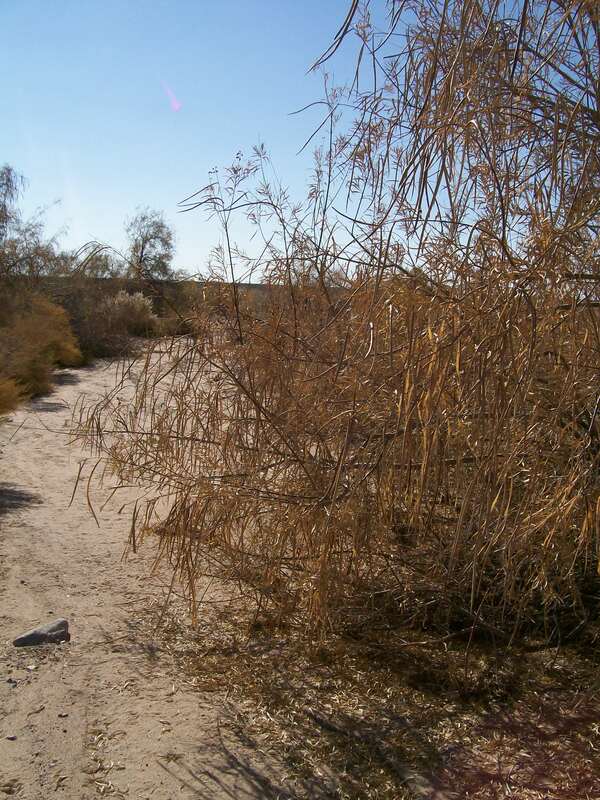 I found many things to be thankful for, including desert willows whose long seed pods showed me how many flowers I’d missed seeing by not being out their way in the warmer weather. 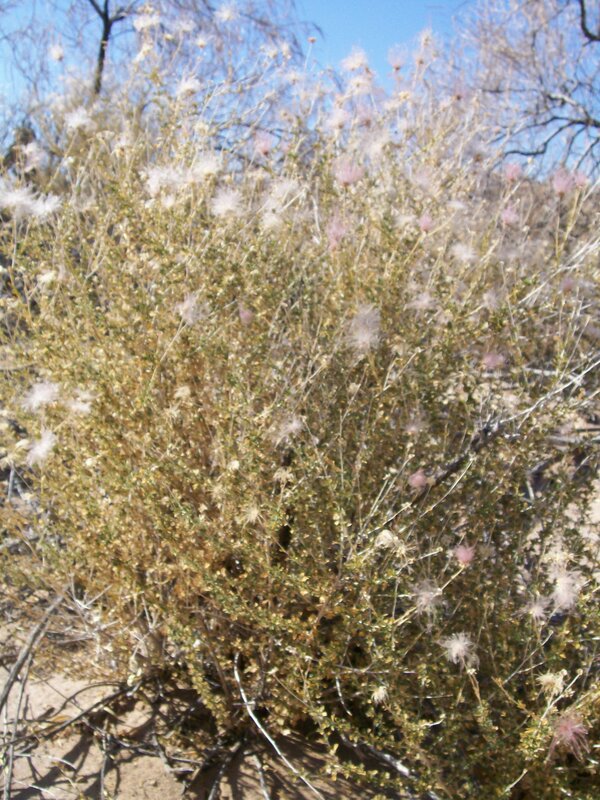 There was apache plume which was still “pluming” – its sprays of seed pods not yet blown away. And most pleasing of all, there were buffalo gourds. 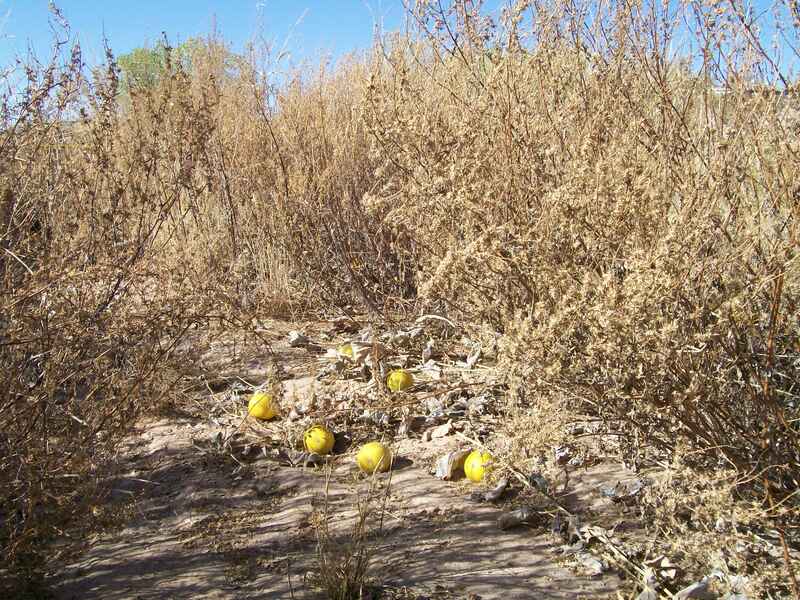 These grow on large leaved plants which have gotten scarce in the last year or two because of the drought conditions. I picked up a few for my Thanksgiving table decoration. It was a longer walk than I had taken in quite a while. But I knew I would have Black Friday to rest up. I certainly share your love of nature! Great job and thank you for sharing.